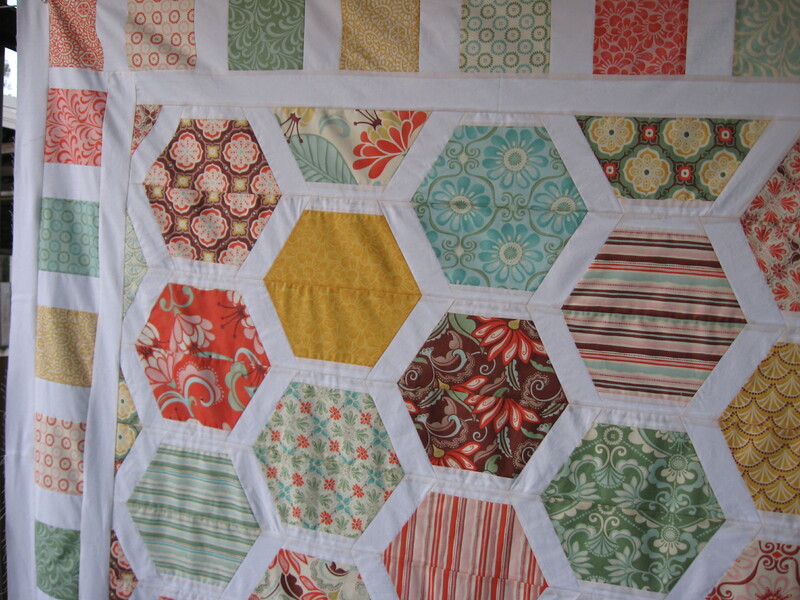 Earlier in the year I wrote about starting a Hexagon Quilt project from the Moda Bakeshop using a Layer Cake. For this project I used a Layer Cake called Fandango from my favourite designer Kate Spain. I finally finished the quilt top the other day. These aren’t are very good photos but photos notheless. This is a pic of the quilt hanging on the clothes line. I didn’t have anyone to hold it for me for a photo. Another photo at a bit closer angle. 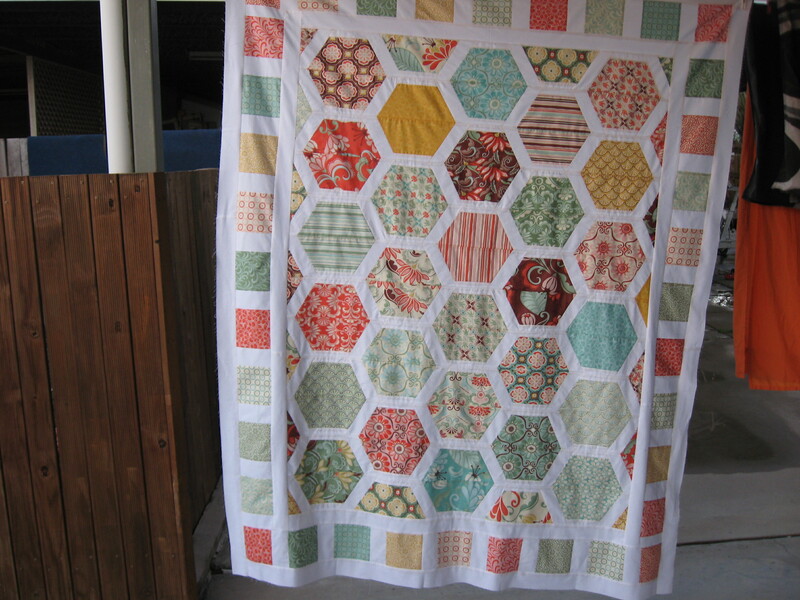 I absolutely love this quilt.